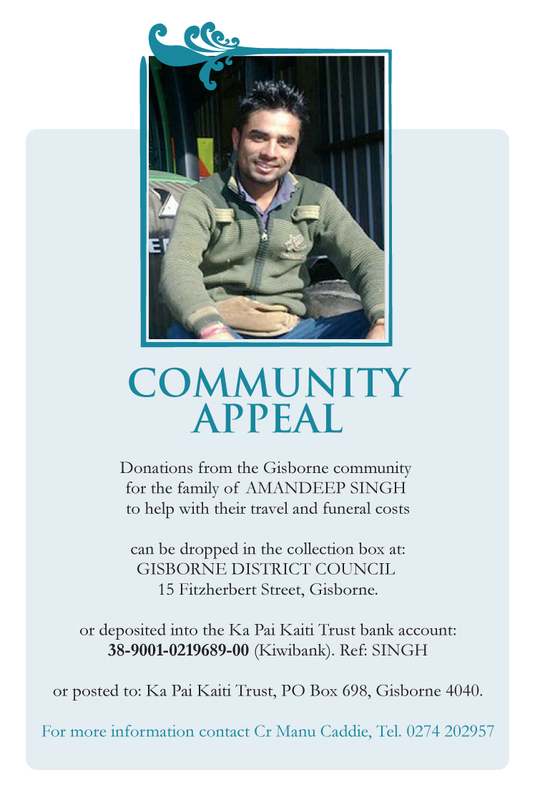 People wishing to help the family of Amandeep Singh are able to make donations through a special appeal on behalf of Gisborne residents. “We understand his family are not wealthy and want to show them that the Gisborne community is upset with what has happened” said organiser Manu Caddie. 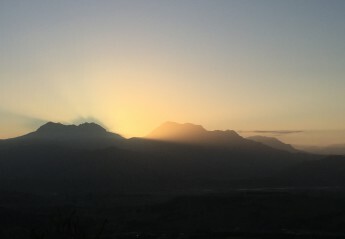 Ka Pai Kaiti Trust has agreed to administer the donations and pass them on to the family. Contributions can, from Tuesday, be dropped into the front counter at Gisborne District Council in Fitzherbert Street, can be deposited into the Kiwibank account of Ka Pai Kaiti Trust (reference: SINGH) or may be posted to Ka Pai Kaiti Trust, PO Box 698, Gisborne 4010 with a note that it is for the family of Mr Singh. Donations can also be deposited into the Ka Pai Kaiti Trust bank account: 38-9001-0219689-00 (Kiwibank). Reference: SINGH.